Back pain is a billion-dollar industry – literally. It is the 2nd leading cause of physician visits, hospitalizations and use of both prescription and nonprescription drugs, as well as the most prevalent chronic medical problem, and cause of long-term disability. Total annual costs topped $100 billion in 2004 and they have only increased since then. There is a cry from patients, insurance companies and even the government to find a way to contain healthcare costs. While no one, widely-accepted solution has been found, researchers are looking at trends and themes among conditions and treatments in an effort to find the most cost-effective option. A study was published in 2004 in the JAMA Internal Medicine medical journal, then known as the Archives of Internal Medicine. It was a 4-year retrospective analysis of claims data from more than 700,000 members with an additional chiropractic coverage benefit, and 1 million members of the same health plan who did not have that benefit. Previous research shows chiropractic to be effective in treating back and neck pain. Additionally, reviewing previous studies reveals an almost unanimous higher patient satisfaction compared to conventional treatments. While chiropractic care benefits are included in most insurance plans, there are often restrictions on that coverage. This appears to be due to a gap between three factors: evidence regarding safety and efficacy of chiropractic, patient demand and evidence of cost of chiropractic care. This study sought to help close that gap. The researchers collected data from claims records, which is a study format often used in health care research. The benefit of this is the ability to analyze actual claims data from a “real-life” setting as opposed to a controlled laboratory setting. The subjects were all members of the same large health plan with access to the same physician network and same, or similar, overall benefits (other than the addition of chiropractic in some policies). The members also were subject to the same rules and policies regarding specialty care, hospital and surgery approval, high-cost diagnostic tests, exclusions and limitations. Data gathered included both inpatient and outpatient data. The chiropractic rider coverage for the 700,000 subjects provided them with direct access to a Doctor of Chiropractic (DC) without a referral, as well as a copay that was the same as a visit to a medical clinic and up to 40 visits per year. 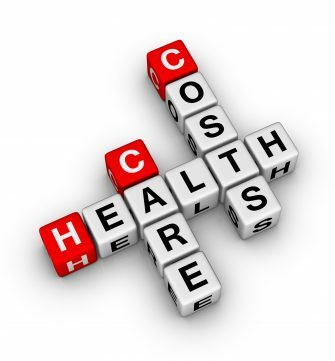 Proven to have lower total health care claim costs Per-Member-Per Year, which explains a 12% reduction in annual costs the health plan incurred on those members. Researchers estimate that these facts convert to an approximately $27 per member per year cost savings that is a direct result of the member having access to chiropractic care. An 8% lower average cost for all episodes combined for each patient. As this study demonstrates, chiropractic is a cost-effective option for health care with benefits that extend beyond just the basic neck and back pain. In a time where we are faced with rising medical costs and an opioid epidemic, utilizing conservative, non-pharmaceutical treatment options is vital. Chiropractic has been proven both safe, and effective. 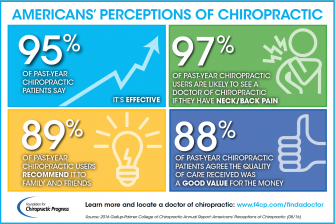 Additionally, patients of chiropractors report a high level of satisfaction with the care they have received. If you or a loved one are experiencing back or neck pain, talk to your local DC about how chiropractic can help. Your chiropractor will perform a complete exam and develop a treatment plan that can address your condition. In addition to spinal manipulation, nutrition, modalities, and rehab exercises, your doctor of chiropractic can order additional testing as well as provide a referral to another health care provider if needed. While more extensive care is sometimes needed, by beginning with conservative, non-pharmaceutical care, you reduce your chance of needing opioid medications or surgery. You also avoid the associated side effects, lengthy recovery time and risks that accompany them. Plus, with medical costs rising, this study shows you will also most likely reduce your overall health care costs. If you do not have a chiropractor, find a TCA Member doctor near you here. Cherkin DC, MacCornack FA. Patient evaluations of low back pain care from family physicians and chiropractors. West J Med. 1989;150(3):351–355.